Museums are an excellent way to provide an education outside of the classroom. They showcase history, art, science, and so much more. As one of the original thirteen colonies, New Jersey has a long and interesting history that is displayed in its museums. Some of its towns were part of the American Revolution, such as Morristown where George Washington visited. Hoboken was a gateway to European immigrants from Ellis Island. Princeton University is one of the most prestigious universities in the United States. All of this and more can be explored in the state’s many museums. Here are our 10 favorites. As a part of the prestigious Ivy league system, the Princeton University Art Museum has a long history of selectively curating collections of art to educate the public. Private collections are housed featuring historical Asian, Greek, and American art as well as special rotating collections such as surrealism. Admission is free to this intimate art museum. Another university favorite in New Jersey, this museum in North Jersey houses several collections including modern, contemporary and Native American art. Special programs include adult, youth, and family events listed on their site. These events feature special exhibits, food options, entertainment, and more. The Old Barracks will suit museum-goers who enjoy local history in a more immersed setting. This museum sheds light on New Jersey’s involvement in wars such as the French and Indian War and the American Revolution. Group and family tours are available to accommodate groups of various sizes. Hoboken is known for its hip restaurants and nightlife, but nestled away in this bustling city is a cultural preserve of New Jersey history. They offer self-guided tours of their rotating exhibits and provide information on local points of interest in the city. Information is available on the state’s history and Ellis Island. 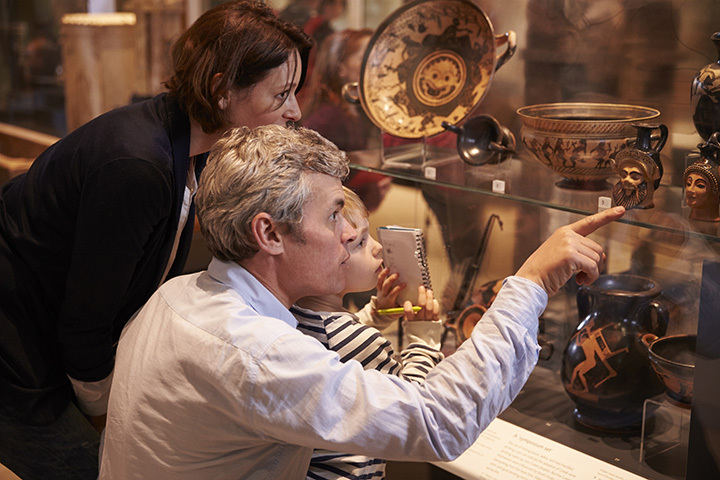 Are you a fan of museums that give you the experience of going back in time? The Stickley Museum is the right place because of its carefully maintained structure. It is a historical home built for his own family by the well-known Gustav Stickley, a famous furniture manufacturer and designer, according to the Stickley Furniture website. The Morris Museum provides exhibits and programs in multiple areas to entertain and educate audiences of all ages. With topics in science, art, and history, this historical museum is the second largest museum in New Jersey, according to the official website. It is also available for private rentals such as weddings. The Liberty Science Center is one of the most well-known educational fun spots in the state of New Jersey. Groups and families specially plan days to visit the many exhibits dedicated to science of subjects such as communication, animal life, and energy. Their IMAX dome provides memorable educational videos with unparalleled detail. This state museum showcases special exhibits such as a planetarium and toy manufacturing history in New Jersey. They aim to engage visitors in the state’s cultural and natural histories as there is much to offer. Archaeology and fine art are also among the collections. Do you have any aviation enthusiasts in the family? Found in North Jersey, this spot provides the perfect learning experience for seeing model aircrafts and photographs of milestone moments. Their Hall of Fame recognize state natives who have contributed to the field of aviation. Founded in 1966, the Zimmerli has established its reputation as a university-based museum. Its permanent collection features ancient, modern, and cultural pieces that are actively studied by professors. They also rotate visiting exhibits to include diverse collections featured to specific artists or movements.